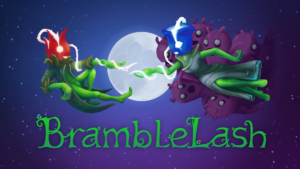 BrambleLash is a spritely local co-op with team-and-swap action. 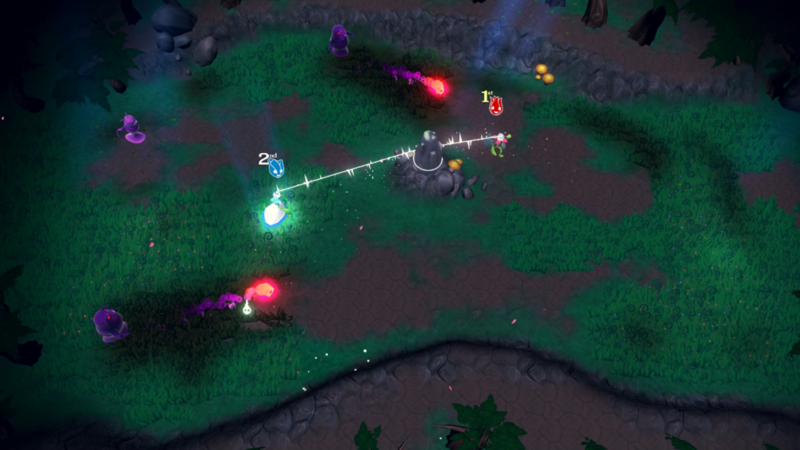 Enchanted sprites work together to defeat slimy invaders in a whimsical setting full of glimmering shadows. 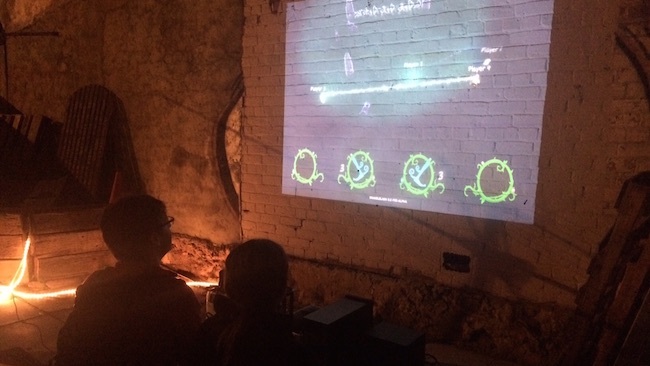 Connect, co-operate or betray to win! 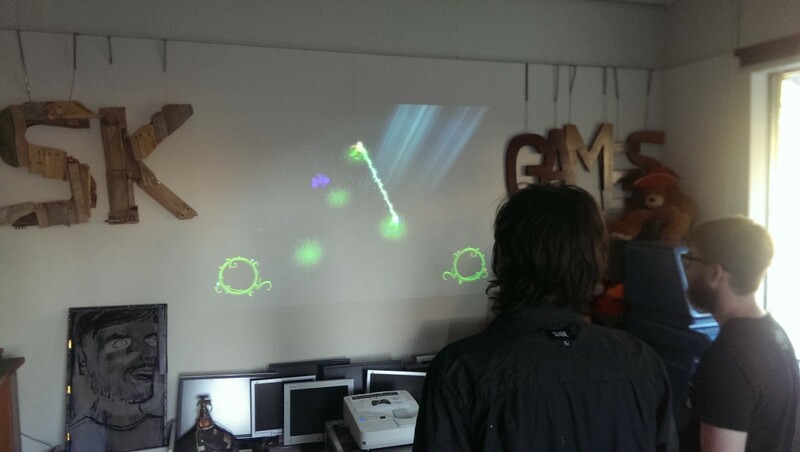 Play with up to four players to overcome the slimey swarms and defeat the slime king in adventure mode. Pull your partner to safety and over obstacles with the press of a button. Share a variety of powerups with your friends for amplified effect. 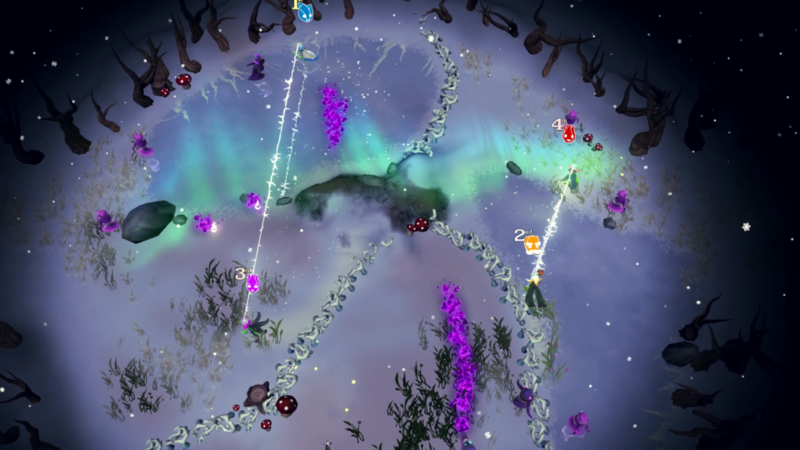 Co-ordinate with your partner to mount an offensive, and maneuver to avoid toxic tether breaking attacks.